Vivian Giang writing, Listen Up: The One Skill You Need to Be a Better Leader, stated that listening is one of the toughest skills to master and offered five ways you to be a great listener at work. In Quality Teaching in a Culture of Coaching, I describe the verbal skill of a confirmatory paraphrase that coaches can use in conferencing with teachers to improve and highlight their listening. “The confirmatory paraphrase is a statement that summarizes what the other person said: it indicates that the coach is listening, thus creating alignment and trust between both parties, and it also allows the coach to begin using the same language as the coachee. 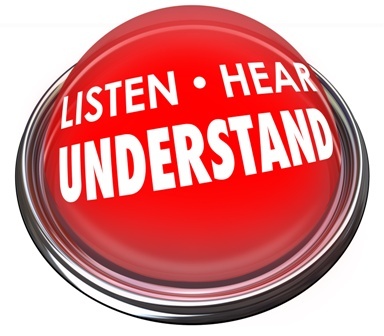 While listening, identify a fact, attitude, feeling, intention or commitment you are hearing expressed. Then state what you interpreted was said. When using a confirmatory paraphrase I am expecting a “yes” response that tells me the message I think I am hearing is what the other person is communicating. Sometimes my interpretation is wrong and the person corrects me, building understanding. Teacher: Many students need more practice than the current pacing guide suggests. Teacher: No, I think I just need more flexibility in deciding when my students are ready to take district summative assessments. Teacher: Yes, I think so. It is important when paraphrasing to avoid parroting what the other person said. Teacher: There is a very wide difference in my students’ reading levels. Coach Parroting: There is a wide difference in your students’ reading levels. Coach Paraphrasing: You see working with all those different levels an important issue. Consciously practicing paraphrasing can increase your leadership listening and communicate your support for your staff.